The premier communications holding company, AT&T will launch Pantech Matrix PRO Dual Slider smartphone soon. The Pantech Matrix PRO is able to slide in two ways, one for QWERTY and the other for the number key pad. The smartphone features with a 2.4-inch QVGA LCD display and is also equipped with a 2MP camera. 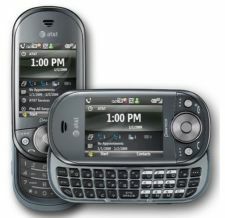 It also has built-in GPS with AT&T navigator and a Bluetooth 2.0. In addition, Pantech Matrix PRO Dual Slider smartphone supports tri-band HSDPA 3.5G and quad-band GSM network. It comes with Windows Mobile 6.1 Professional, 256MB ROM and a 128 MB RAM. Dimensions: 4.17 x 2.0 x 0.85 inches. Battery Details: 1320mAh Li-polymer battery. Standby Time: Up to 10.4 days. Frequency: 850/900/1800/1900 MHz (GSM/GPRS/EDGE); 850/1900/2100 MHz (UMTS/HSDPA/HSUPA)*. Operating System: Windows Mobile 6.1 Professional. Memory: 256 MB ROM and 128 MB RAM with MicroSD™ expandable memory (sold separately). Display: 2.4 inches QVGA screen with 240 x 320 pixels. Sliding 12 key and QWERTY keyboard. The phone is expected to be available in 16th October and is priced at $79.99 with a two-year agreement (mail in rebate).